Premiering January 14 on Independent Lens is Rodents of Unusual Size, from Quinn Costello, Chris Metzler and Jeff Springer. 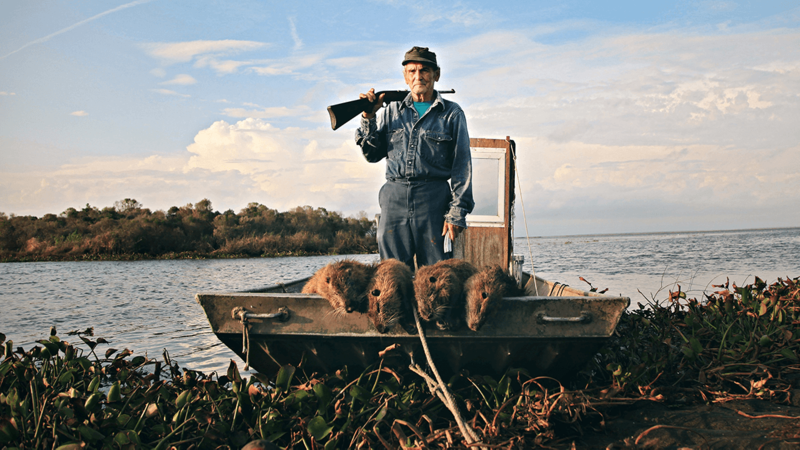 An IDA Pare Lorentz Award grantee, the film takes you deep into the bayous of Louisiana, where a colorful cast of locals faces off against a growing menace: the monstrous, 20-pound swamp rats known as nutria. Also coming to Independent Lens, on January 21, is Rumble: The Indians Who Rocked the World, from Catherine Bainbridge. The film tells the electric story of how Native American influence shaped blues, jazz, folk, and rock 'n' roll, going deep into the indigenous foundations of rock. It was billed as a luxury music festival, to take place over two weekends in spring 2017 on the Bahamian Island of Great Exuma. Entrepreneur Billy McFarland and rapper Ja Rule promoted the event via social media, hyping A-list models and artists and five-star accommodations. What actually happened was an epic fail of no-shows, thousands of unpaid Bahamians and cheated attendees, a raft of lawsuits and a conviction of McFarland for wire fraud. This week, two docs about the ill-fated, ill-conceived Fyre Festival premiere on rival streaming giants. The first, Fyre Fraud, from Jenner Furst and Julia Willoughby Nason, streams January 14 on Hulu, while Chris Smith’s Fyre: The Greatest Party That Never Happened, premieres January 18 on Netflix. Now streaming on DAFilms.com is Ai Weiei’s Human Flow, an epic film journey that elucidates the global scale of the refugee crisis and its profoundly personal impact.